to Mythological Lands of Natural Power and Beauty. 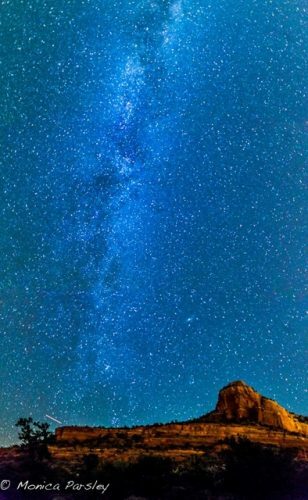 Are you feeling the call to renew your vision, de-stress, & absorb the vitality and primal beauty of this high desert land & clear night skies? Fresh perspectives come alive as you explore red cliffscapes, connect with nature energies and insight skills of the modern day mystic, participate in ceremony; or experience Hopi and Navajo lands, culture and peoples. We weave a rich tapestry you can carry home in your heart and crosses you into ancient & contemporary understandings of earth, spirit and human community. Explore red landscape temples, "vortex" sites and qualities that have made this a place of inspiration for thousands of years. Personalized to connect you with the energies and essence of the area. Hear legends and world views--both ancestral and metaphysical--you decide your truth of this mythological place! Plus geology, natural and human history, archaeology. Your guide is native to Arizona who shares a depth of spirit of place insights. 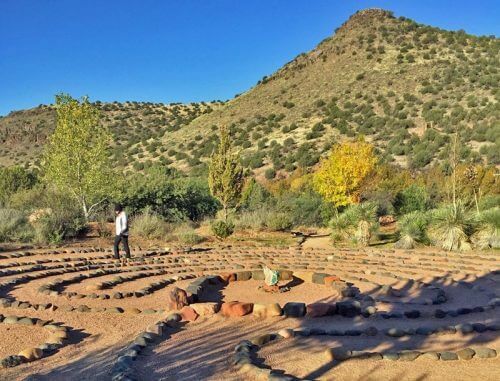 Sedona Explorer, Vortex Tour, Earth Connection Outdoor Seminars, Sunset-Stars- Moon Circles, Spirit of Sedona Circle. Direct Experience with the Sentient Universe. Mentoring/intuitive feedback in timeless pathways known as "shamanism", updated for today's world allied with skills development in nature energies, signs, attentiveness, lucid dreaming, mindfulness, and ceremony. New insights flow in that deepen knowing, build confidence, support conscious re-creation of your life. Activate positive change with ceremony as you work with intention, cosmic energies, and more. The Colorado Plateau is a compelling, primordial region of spectacular canyon and mesa landscapes. The land is alive with stories of Hopi, Navajo & other Native peoples still living on their ancestral homelands. Explore prehistoric pueblo cliff dwellings, rock art. Guided personalized group tour or independent traveler program that begins with in depth seminar in Sedona based on decades of experience with the lands, peoples and cultures of the region. Mystical Insights, Nature Connection Practices & Ceremony: Insights flow from shamanic journey/intuitive feedback, noticing signs, connecting with earth energy and inner knowings. Activate positive change in ceremonies with water, labyrinth, Ancestor Wheel. Includes entry fee to beautiful, private site on Oak Creek. Can combine with Sedona Vortex Tour. Sandra has been offering quality experiences in the Southwest since 1991. Prior to that she was a school teacher, natural resource manager in Alaska, forest service fire look-out, land developer and conservationist; also worked professionally for and with Native American groups. She creates customized experiences for individuals and groups from around the world. This includes: nature-cultural tours and earth-spirit, mystic knowing personal growth programs. Her circle of heartful, knowledgeable guides and teachers include traditional Native Americans living on their homelands and other talented guides, resource people, and holistic practitioners. A native of this land from an Arizona pioneer family, Sandra draws on a lifetime's experience of exploring the Southwest, listening to and being inspired by Nature and the mystic path of direct knowing, and sharing in friendship and respect with indigenous Peoples. Sensuous red canyons, jagged mountains and buttes of the Colorado Plateau, Alaska wilderness and the Andes are part of Sandra's inner landscape. She resonates with the vibrant energies of a land alive with stories, sun and rocks that speak to us and renew life. Her informed passion, knowledge of the land and peoples, mystical understandings, intuition and warm welcome create a bridge for you to enter these worlds. Crossing Worlds Hopi Projects is a non-profit Hopi all-volunteer service group. We facilitate projects on Hopi lands in support of sustainable cultural continuance, self-empowerment, and offer cross-cultural education experiences for the public and to benefit youth and adults. Our support is from a place of respect and acknowledges the the challenges of living on a remote Indian reservation far from the economic resources of urban America. Please see the CWHP website—we invite your participation such as support for building a youth learning center, for much needed home repairs, orchard project, supplies for Hopi youth and families (e.g., art, learning, home and food support). To receive our occasional newsletter with cultural articles and project info, please see form on home page.